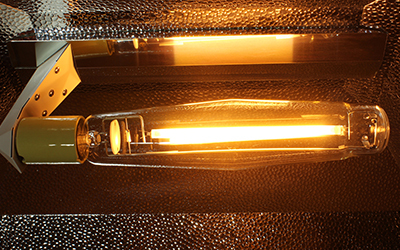 High Pressure Sodium (HPS) lamps typically emit an orange colored light. 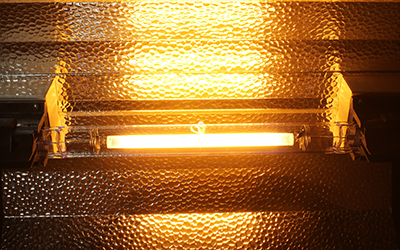 Traditionally HPS lamps have been used by indoor growers during the flowering and fruit production stages of plant growth. 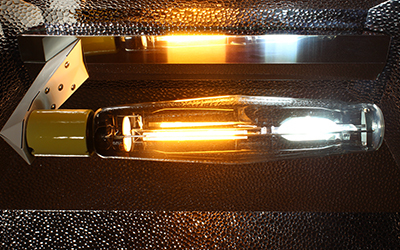 HPS lights are perfect for flowering because their spectral output mimics the late summer/fall seasonal sun.